Our birthday was on Wednesday- we are 17 now! It’s pretty exciting, even though we don’t have our driver’s licenses yet. However, what we do have now is the awesome and brand-new Smitten Kitchen Cookbook plus a pizza stone (is that weird for teenagers?). With Thanksgiving being yesterday, we wanted to give the new cookbook a try, and we wanted something easy that would go along with the other dishes we helped our mom make. 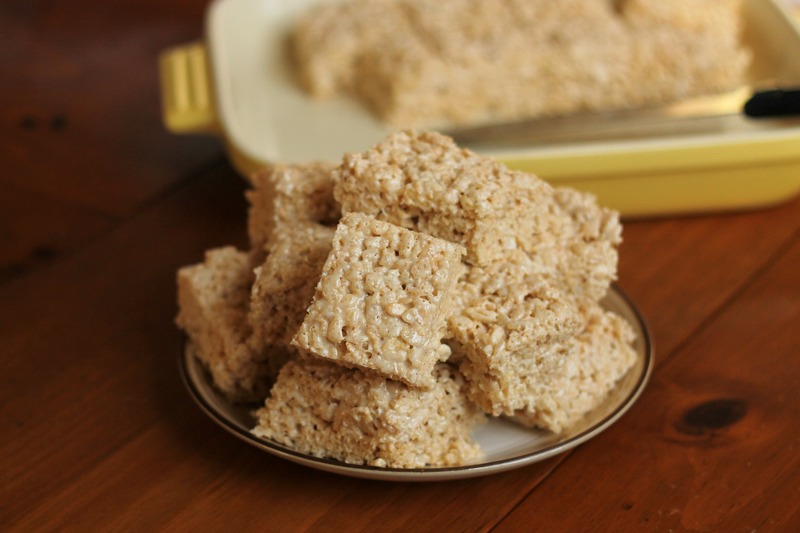 We immediately spotted these Brown Butter Crispy Treats, which we saw on the Smitten Kitchen blog a while ago. We decided to give them a try, because rice crispy treats are basically the easiest and tastiest bars in the entire world. These were possibly the best we’ve had, with a perfect ratio of marshmallow to cereal (they didn’t dry out) and there are no leftovers! The flavor had that caramel nuance which brown butter adds, and we don’t think we’ll be going back to the basic rice crispy treats after this. Give them a try! Butter an 8-inch square pan with 2-inch sides. In a large pot, melt butter over medium-low heat. The butter will melt,foam, then turn clear golden and finally start to turn brown and smell nutty. Stir frequently, scraping up any bits from the bottom of the pan. Be careful not to let the butter burn. As soon as the butter takes on a nutty color, turn the heat off and stir in the marshmallows. Stir until the marshmallows are smooth and melted (put the pan over low heat if necessary to aid the melting process). Remove the pot from the stove and stir in the salt and cereal. Spread into prepared pan. 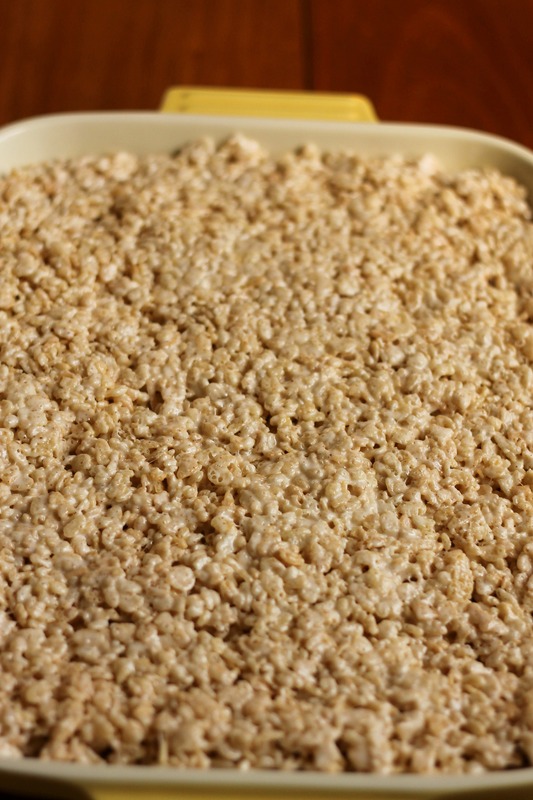 Use a piece of greased wax paper to help press down the bars into the pan. Let cool and cut into squares. Enjoy!